We'll start on the coastline, which forms - with Albania - the land mass clearly visible across the sea from the idyllic island of Corfu. Incidentally, with plenty of direct UK flights in to Corfu Town and regular ferries across to the mainland, a combination of Corfu and Epirus is eminently doable. Now, back to that coastline, which is dotted with pretty ports and wild, remote beaches, and well worth a few days R&R either before or after exploring the hinterland. While none of the beachfront hotels are going to give the Aman Resorts marketing team sleepless nights, we know a couple that would for make a very pleasant pitstop to soak up the sun. 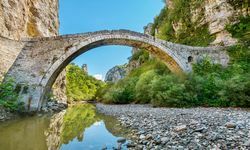 But it's the interior that's the chief draw here, so your next stop should be Zagori, or more precisely Zagorochoria, a stunning mountainous district famed for its charming village communities and elegant stone arched bridges (92 of them, to be precise) across cascading rivers. 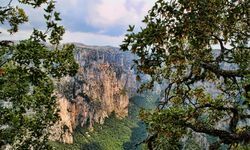 Bears and wolves still roam the forests here, but despite that this is superb trekking country, with well-marked trails crisscrossing the region, most famously through the vast Vikos Gorge, technically the deepest gorge in the world when comparing width in proportion to depth. 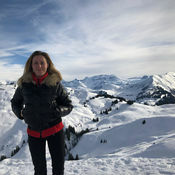 A guided walk through the gorge is a challenging but incredibly rewarding day trip, with a stay at a lovely local lodge the perfect finale to rest weary limbs when you emerge from the cavernous valley. 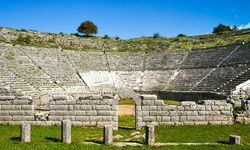 After appreciating the epic Epirean landscapes it's time to admire the equally impressive cultural highlights in and around the regional capital Ioannina (another potential access point, with flights via Athens). The city itself is home to fascinating classical, Byzantine and Ottoman architecture while nearby Dodona, at least three thousand years old and in all likelihood considerably more ancient, is the oldest known oracle site in Greece and once second in importance only to that at Delphi. In its pomp high priests would have deduced people's fates from the way the wind breezed through the leaves and wind chimes in a sacred grove of oak trees. Sadly none remain, but several well-preserved buildings, including a magnificent theatre with views across to Mount Tomaros, do. We've left potentially the best until last, and while technically in the neighbouring region of Thessaly, this highlight is just that - high. 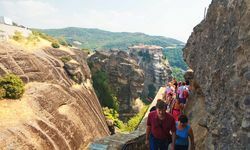 Welcome to Meteora, and the 'monasteries of the air' as travel writer Patrick Leigh Fermor described them in his wonderful, wistful tour of Northern Greece, Roumeli. 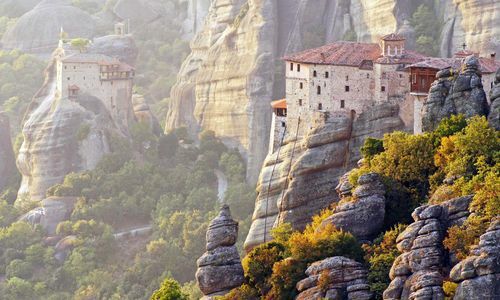 Less literarily, James Bond aficionados will also recognise the monasteries of Meteora, which are perched precariously on weathered peaks, from 80s For Your Eyes Only. Whichever your cultural reference point, it's no exaggeration to say that this is one of the most extraordinary places in Europe, and fully deserving of UNESCO World Heritage status. For some quick historic context, the first ascetics arrived in the region in around 985 AD and with increasing Muslim incursions from around the 14th Century visionaries such as the wonderfully named St Athenasios the Meteorite built monasteries in ever more impregnable spots atop sheer-sided pinnacles only accessible by winches and ropes. 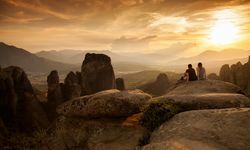 Today only six of these remarkable feats of religious and engineering remain, but visiting one or more is an extraordinary insight into the spiritual history of a remarkable region. So, how to best to combine all of these attractions? 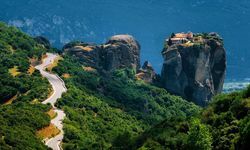 There are a number of ways we can weave together the various elements of Epirus into a self-contained itinerary, or in combination with Halkidiki to the north-east or, as before, with a lovely villa stay in Corfu. As with all things we do everything is entirely tailor-made, so we look forward to creating the perfect trip for you. 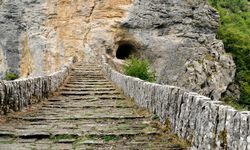 My highlight: Trekking through Vikos Gorge is an unbelievably memorable - if challenging - experience. We work with the finest guides who can make the whole day even more special, showing you a secret and beautifully tranquil lagoon on route.